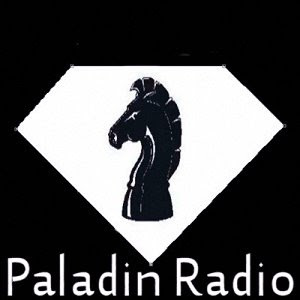 I am taking the time today to update everyone on all things Paladin radio as we seem to be growing everyday. For a long time social media has been a main stay for us and to that end last week we opened our own social network http://socialnetwork.paladinradio.org/ So far the responce as been great and we look forward to seeing you there. Last but not least we have now added a new on Demand music service, we have had request for this and now it is here. I want to make it clear a music playlist on a page is in no way internet radio and will never be but we feel our new service is superior in many ways to what is currently out there as it is a simple search and find music video interface. You only hear what you are looking for, No break in audio ads and no skips needed as you will only get what you search for. I also wanted to share this video with you. Someone out there in cyber space decided to make a neat text to voice video of our Wikipedia listing so I wanted share it with the world as it much easier to listen than read.